Hoarseness may be caused due to many reasons like a bad cold, persistent screaming, laryngitis and throat cancer. It can even be caused from acid reflux or more precisely gastro esophageal acid reflux. Clinically termed as LaringoPharyngeal Reflux or LPR, it addresses a condition in which the refluxed acidic stomach contents are believed to have reached the voice box, thereby causing damage to it. However, the human voice box is not such a flimsy organ as to be injured by a few acid washes in a month, considering that the person has habitual acid reflux every month, or he or she is a chronic GERD patient. Nevertheless, it may be pertinent to see how the laryngologist reaches the conclusion that the patient is suffering from LPR, following his method of diagnosing. When there is a suspicion of acid reflux hoarse voice, or due to some other reason, the initial investigation comprises a look inside the mouth with a fiber optic endoscope that reveals the color of the mucosa lining the vocal chords as typically "red", suggesting injury or damage. But what detracts the laryngologist is the fact that the pixilated view and the mirror examination of the larynx gives out only a blurred image of the mucosa lining the voice box, which in fact is translucent. It is the underlying tiny blood vessels that provide the "red" coloring of the mucosa, often misleading the medico. The next course of investigation may also prove ineffective as vocal abnormality is checked by visual abnormalities appearing on the voice box or the larynx - a method far from being perfect. Although the formation of a benign growth in that area may affect the vocal quality of the person, it has very little or nothing to do with LPR and so hoarseness may persist even after the expensive 'treatment'. The third track of investigation is also likely to provide deceptive results as people think that the vocal cords work like string instruments (piano, guitar, etc), creating sine waves, oscillating about an axis whereas in reality, they are like wind instruments (church organ) that leak air as they vibrate. When air passes between the cords without vibrating them, it flows turbulently, producing white noise or whisper. In such cases no vocal cord movement is involved at all. Hence the hoarseness when a person talks, not whispers, may be caused by something else than LPR. However, reflux is also significant since the stomach acids and enzymes that reach the larynx can cause irritation and injury, resulting in hoarseness. It is also a major factor in the formation of granuloma and phonotrauma that affects the voice to some extent. In fact, the larynx is more susceptible to injury as it is more sensitive than the esophagus in counteracting the effects of the acidic reflux, affecting normal voice quality. Nevertheless, its treatment may follow the usual line that suggests change of lifestyle, keeping away from fatty or spicy food, regular meal timings along with regulated doses of proton pump inhibitors to control the flow of stomach acids till the voice becomes normal. 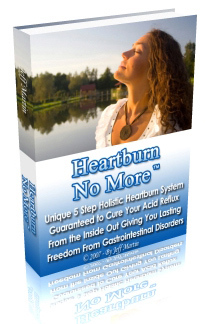 But the problem is acid reflux hoarse voice can only be temporarily treated with the above approaches. That is because most of these remedies only attempt to identify the symptoms and generally fail to find the cause of these symptoms. The ideal treatment should go deeper and try to find out what the real cause is of acid reflux and then try to solve the issue. And once done, the symptom, that is hoarse voice, will also be naturally treated. Holistic methods of treatment are so effective because this is what they do - they treat the body as a whole, and not just the symptoms. The fact is, acid reflux is a complex issue and the causes are also many. So a holistic approach is often desirable.